I'm always happy to sign up for the one challenge I never fail! :) A little over half of everything I read is written by women. 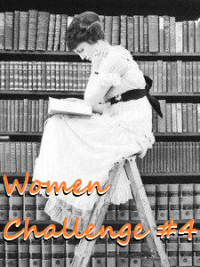 But even though the challenge is easy for me, I like that it keeps me aware of the genders of the authors I read. I will once again be signing up for the level of Wonder Woman, requiring me to read 20+ books written by women. I would like to thank you so much for your participation!